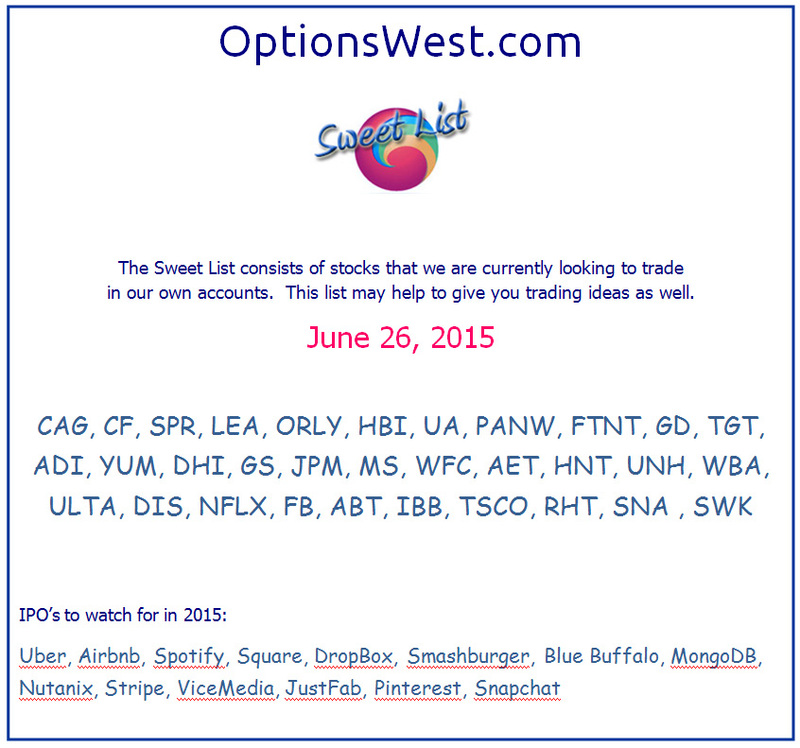 The Sweet List report comes out once a week and is a listing of the stocks we have culled from the market that we are either trading or looking to trade. They are usually technically and fundamentally sound trades that have some catalyst that make them prime candidates for momentum investing. We use the list ourselves when looking to put funds to work and strive to find stocks from the list that will give us good entry points and a good risk/reward ratio. The OptionsWest Trading Service manages three trading accounts as examples for our clients, the EquiFund, the Blue Sky Account, and the Active Trader Account. Each trade and position move in all three accounts is shared via timely email alerts, daily email reports, and access to the member’s area of the website. The member’s area maintains a daily record of all three accounts and also presents a variety of stock selection reports and tools. All the email alerts, stock reports and tools are available as part of the monthly subscription. The information is available 24/7 in the member’s area of the website with your login and password. Members who have taken the Weekend Course or the California eight-class course receive 12 months of the trading service as part of their tuition. The first 30 days after sign-up are a FREE trial… you may cancel the service at any time. Very simply, we teach successful investing!